It has blown me away, the amount of love that we have received for The Interviewer, worldwide. It’s an amazing little film that has gone further than what I or anyone at Bus Stop Films could ever have expected. Created with 12 people with an intellectual disability, through weekly filmmaking workshops at Bus Stop Films, I have often been asked, how has, essentially, a community film, been able to win over thirty international film festival awards, gain distribution across 5 territories, screen at the United Nations and go viral in Europe? My answer is this: the power of a universal story. The Interviewer is a story about overcoming the expectations of the world. It is essentially about a diamond in the rough, a person who is underestimated, who through being himself, challenges the status quo and is recognised for being more than just a ‘trolley boy’. People worldwide have related to this little film. After being screened on Arte TV in France, the film exploded, we were getting French and German fan mail almost everyday for a month! Illegal uploads of the film across Youtube sites and blogs, sprung up out of nowhere, on average racking up over 100,000 views! 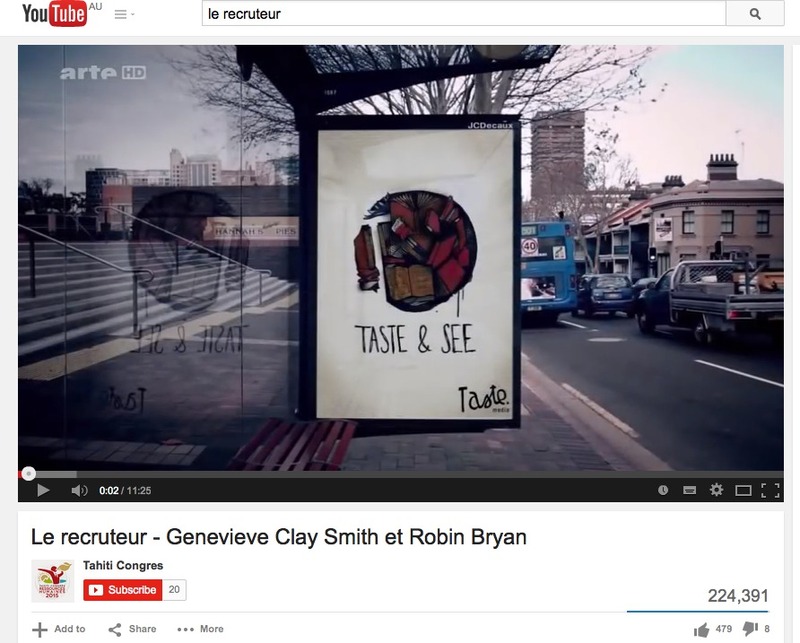 Thahiti Congress racked up over 200,000 views of The Interviewer before we realised and claimed copyright! It’s a film which has transcended cultural and language barriers, yet it is not cinematically incredible and is not complex in it’s narrative structure, it is simply a story about not judging a book by it’s cover. The film puts the audience in the skin of another person, giving them the opportunity to be confronted by perhaps their own preconceptions about disability and what people are capable of. Some of my favorite films, are universal stories that deal with the same concept. Strictly Ballroom is perhaps, my most beloved film, about two people who go against what is expected of them, and they rise to the occasion. I think what is most beautiful about this film, and what blows me away, is that it’s process and the way in which it was made, directly embodies the message of the film. 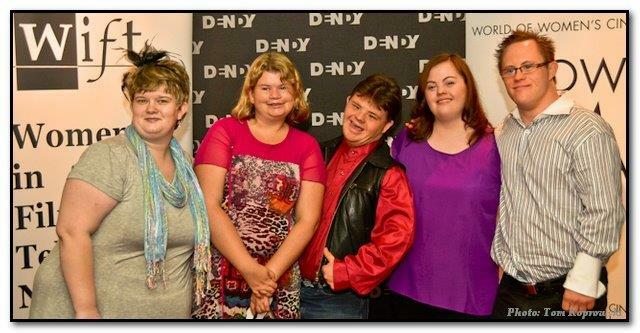 My students with an intellectual disability have traveled to film festivals and received countless awards on the film’s behalf. Often people with an intellectually disability are underestimated, the idea that they can work towards creating project of high standards and artistic excellence, is not the status quo in our society. And yet, here are my 12 students, at the helm of an award winning film. It goes to show that the power of a universal story, lies in it’s universal truth; we all carry unlimited potential inside of us, we just need the opportunity to show the world what we can do. It’s the story of The Interviewer, both in the message and in the making. I hope that when people watch The Interviewer, they don’t just come to an understanding about the capabilities and potential of people with a disability, I hope they come to understand that all human beings have unlimited potential, including themselves! My students giving a big thank you to Shorts Film Festival and Asia in Japan for the audience choice award. 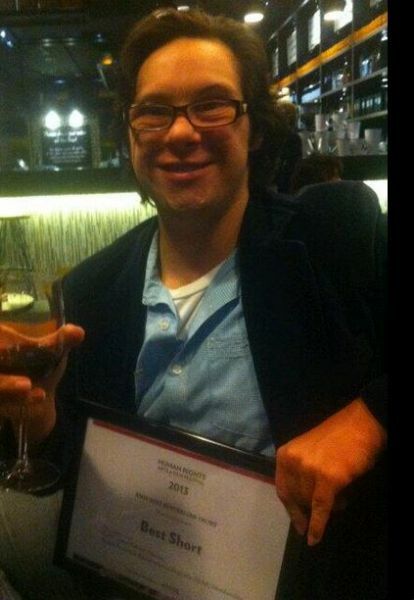 Nathan traveled to Melbourne where he picked up Best Short Film at the Human rights and Arts Film Festival. Bus Stop Students receive three awards at the WOW Film Festival for The Interviewer. 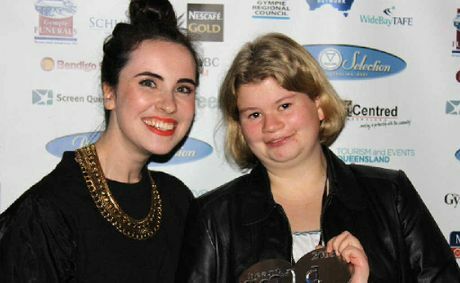 I traveled to Gympie in QLD, with Robin where we received the award for Most Inspirational Film. Apparently the award looks great on Robin’s mantelpiece! 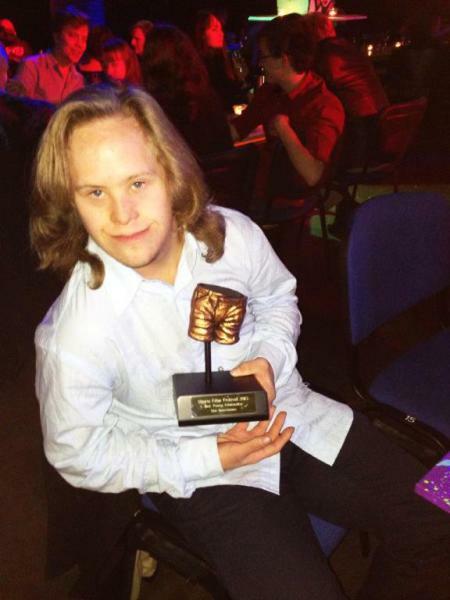 Chris collected Best Young Filmmaker at Shorts Film Festival SA.